Alicia chose Alexander Henry’s fabric June Bug June Blooms in Blue and June Bug June Dot in Black/White. The curtain adorns the window in her guest room. Alicia was so inspired she created pillows to coordinate (also from the June Bug collection). The directions were easy enough to follow for a new sewist with 3.5 hours of sewing experience. My window was slightly wider than recommended (35″x 35″), but the curtain still fits. 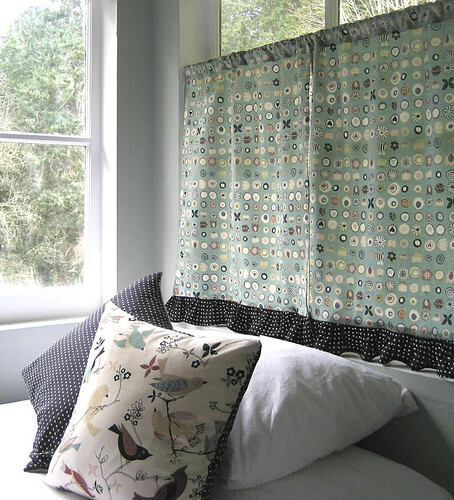 Traditionally cafe curtains are designed to hang at the half way point of a window, but that looked too short in my square window. So I positioned the tension rod at various spots and clipped the fabric with binder clips to play with the length. I settled on about 3/4 length of the window. Beautiful work Alicia! Now you are officially a Sewist. Woo Hoo!!! Kathy selected Liz Scott’s Sugar Pop Floral Andrea Pink with Dots Dot Dot Dot Eggplant for the covered button. This is an extremely precise and well-designed project. Be sure to get your Zen on and enjoy the meditative quality of the hand sewn smocking. The use of a square pillow form inside was brilliant, it pushed out the smocked edges to create a perfectly plump and firm pillow. Step 4: Mark a line 5″ from each side of smocked section. We recommend marking this line before smocking the fabric just to make the process easier. You can still wait to cut until the smocking is complete. Plan on 2 hours to create the smocking template and transfer it to the fabric. Plan on another 5 to 6 hours to do the smocking. 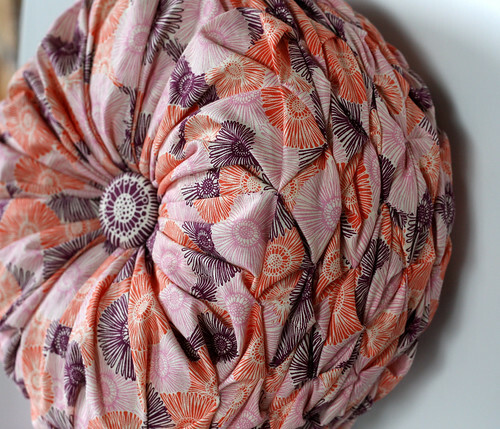 Place a layer of light weight solid white cotton fabric behind the print fabric when making the covered button. It will make lighter areas more vibrant looking. 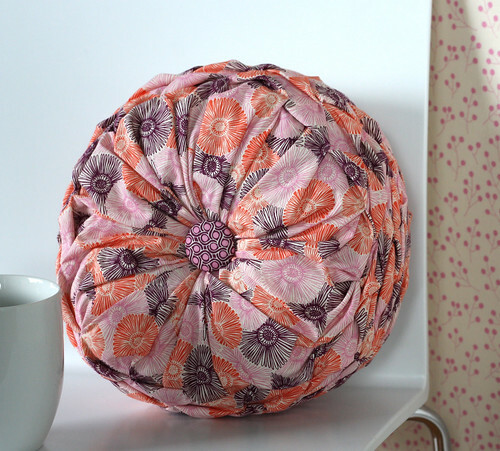 The smocked pillow has been in the shop for several days now and we can’t stop touching it. Not only is it beautiful, it’s super soft and inviting. Time for a nap!